Flying cars have been in the conceptual stage from quite sometime now and are taking immense time to become a reality.The reason is the formidable challenges in the engineering and design of combination of an aircraft and a roadable car. A car should be designed to provide comfort, control, appropriate handling and braking and also protection in case of any mishappening. All this while complying with government regulations for fuel economy and air-pollution control. In cars, there is a standard weight that is safe but the range of the weight is broad and larger deviations can be handled without much problem. But in a plane, weight can be a complicating issue. Weight determines the wing span that would be required for take-off and the engine power. In an aircraft, the take-off depends on the either of these two factors. The aircraft must essentially be made of lightweight material. Aircraft also has challenges to be faced while being flown at low altitudes and bad weather conditions. The physics involved in the two kinds of vehicles is very different. Because of certain opposing characteristics, the challenges faced in engineering design of a personal flying car are immense. Thus, the idea of flying car becoming a reality has remained unmet till now. 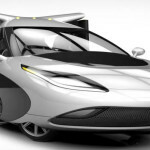 Advent of light-weight carbon composite building materials and also advanced configuration flight-control computers along with new FAA regulations has caused a re-emergence of interest in the concept as the dream of flying car seems to be too alluring to do away with. First and foremost, one would require a pilot certificate along with a driver’s license for a flying car. And this includes understanding air traffic controls along with medical requirements. This would result in many people not complying standards unable to use the flying cars. Additionally there are some categorical problems listed below. In the countries of US and the Europe, the airspace is already crowded and the introduction of personal flying vehicles might not be allowed due to probable increase in nuisance and the dangers involved therein. Even on a lower altitude, the flying cars face the imminent danger of facing obstructions from large trees, multi-storeyed building, towers, high tension wires etc. Many of the models of flying car require a short distance runway to have a successful take-off. Also they require an obstruction-free path on a runway at least of 2 meters for safe landing as well as take-off. 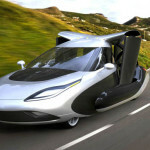 Therefore avoiding traffic jams by using flying car is not feasible in these models. Even so, if some prototypes that are capable of vertical take-off come into the play, the idea of take-off from a traffic jam by multiple flying car drivers into the airspace would further complicate the traffic safety standards compliance and basically result in a chaos. 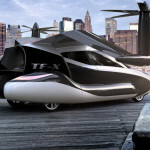 Bad weather or night time is also going to be a problem for commuters of a flying car limiting its use in torrential, bad weather conditions, low visibility and night time. The flying car would require intensive maintenance for keeping it in perfect workable condition matching initial technical standards and rules for government regulatory requirements. For example, if a car runs out of fuel or has technical difficulties is an extremely different situation if the same happens in case of an aircraft. The amount of maintenance desirable for an flying car would be immense given the additional features of wingspan or electric engine -powered propellers. Click on the info-graphic to see full large size.